With 2016 less than a week old, and the X-Files mini-series premiering later this month, two videos have already surfaced claiming to have captured footage of unidentified flying objects. The first comes from Austria where a video uploaded to Facebook on New Year’s Day raises questions over what may have been hovering in the skies while many were ringing in the new year. Marie Mela was celebrating with her friends in the Mostviertel region of lower Austria as fireworks exploded in the sky. An object surrounded by white light can be seen in the clouds as well as forks of lightning which appear to be striking the object. "UFO in Lower Austria or weather phenomenon?!?" Mela posted on Facebook, where the video has garnered over 60,000 views. Some doubt the uploader’s claim that it may be extraterrestrial life. Weather experts in the area have even cast doubt over the authenticity of the video itself, The Local reports. "We have also seen the video, and we checked the weather conditions at the time. There was no lightning in the area," said Roland Reiter, an Austrian meteorologist, to local media. 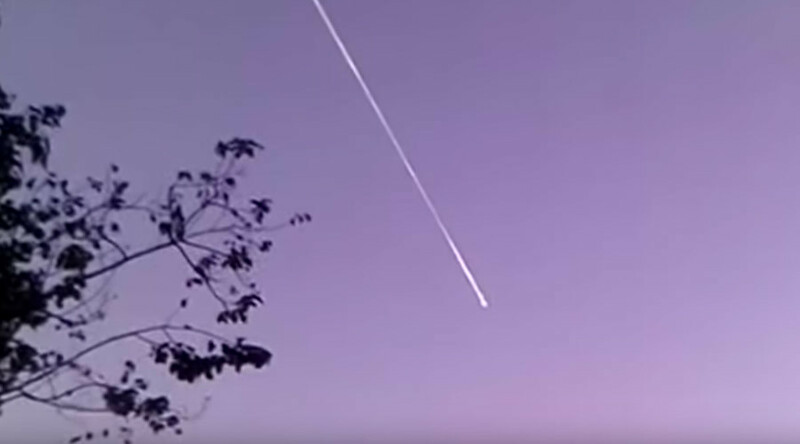 Meanwhile in northern Thailand, early risers on Saturday filmed an object soaring through the skies over Phu Chi Fa, a popular tourist location in the Phi Pan Nam mountain range. While not as suspicious as the sighting in Austria, it has been argued that the fireball is likely a small meteor or some form of space debris, such as an old satellite. Authorities in Thailand have yet to confirm what the exactly the "UFO" was.